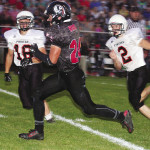 The Bearcats of Ubly set up a key GTC-East showdown with Sandusky this week by cruising to a 36-12 win over Marlette last week. The winners scored 22 points in the second quarter to break open a close 8-6 score and cruised the rest of the way. The Red Raiders scored first when quarterback Ethan McKenney launched a 26 yard scoring strike to Aaron Leffler with 7:56 of the first quarter showing on the clock. Ubly quickly responded with their first touchdown, coming on a six yard run and then added scores of 14 yards, three yards and a 41 yard pass to take control, leading 30-6 at the intermission. Zak Chappel punched it in from 21 yards out to give Marlette their final score of the night with 10:27 to play in the third quarter. The Red Raiders failed to convert either of their two point conversions. A 23 yard touchdown run for the Bearcts capped the scoring. Ubly finished with 435 total yards of offense, 358 yards coming on the ground. They also dominated the time of possession with the Red Raiders, holding the ball for 30:44 while Marlette held on to it for just 17:16. McKenney led the Marlette ground game with 50 yards rushing, Chappel had 34 and Ethan Stover chipped in with 18. 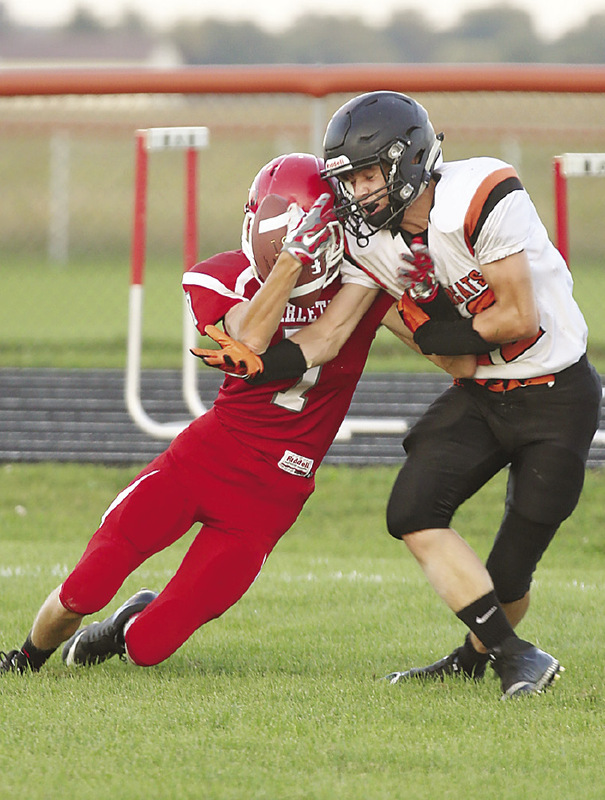 Defensively, Chorben Chisolm had four solo tackles and assisted on eight others for Marlette while Austin Potter finished with three solos and three assists, and Isaac Dale had four solo takedowns. Marlette will travel to Brown City this week for the Pink Out game with the Green Devils before returning home the following week to face the league-leading Redskins of Sandusky.